What are the BEST questions to ask a psychic? If you seek clarity and guidance, there are some basic things to keep in mind before contacting a real psychic. The tips below will assure that your questions lead you to clarity, and thereby giving you the answers that you are looking for! There are no right or wrong questions to ask a psychic. You can ask whatever you want! It can be about love, relationships, health, money, job etc. Real psychics can help you with any area of your life. However, if you want the answers you really need, then it’s very important that you prepare your questions – just like a journalist! So, what’s on your mind? Write down the issues that you want guidance on. Put the questions that are most important to you at the top of the list, especially if you have many questions to ask a psychic. Time is money. You want to get the most value for your money, and when you rank your questions, you make sure that the most important receive the most attention. Don’t waste your time asking for names, how it’s going to happen, or when things will happen. Most psychics are not able to give you specifics like that, so don’t waste your time on these kind of questions. What can I do to reach my full potential? What can I do to attract a loving partner? The questions above are general in nature and allow you to get guidance on the life area that you have trouble with. Let us now learn more about these open-ended questioning techniques and things to ask a psychic. When you have questions to ask a psychic, your want the answers to give you clarity. You don’t want the psychic to tell you what you want to hear (your wishes), you want the psychic to tell you what you need to hear (and get true guidance). So, if you want an accurate psychic reading, then it’s very important to avoid leading questions – the kind of questions that get answered with a ”yes” or ”no”. The best questions to ask a psychic are open-ended in nature. These kind of questions will allow you to retrieve additional information from the psychic (that you can’t figure out beforehand). Do you see anything happening in my love life? Are there any major changes in my life? In what life area? Can you tell me anything about my health? Open-ended question, are not leading in any way. These kind of questions do not reveal your wishes and thus allow you to get accurate guidance as the psychic answers your questions. So, besides knowing what to ask a psychic – it’s just as important to be aware of how you ask your questions. Your tone of voice, mimicry, eyes, body language etc. can give away your wishes. So be aware, and stay as neutral as possible as you ask a psychic your questions. True psychics don’t want your input. To do their job properly and receive information from the spiritual realm, they need to stay clear and open. 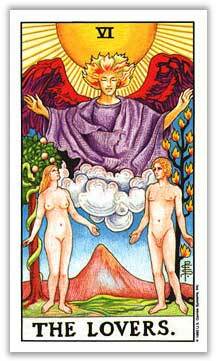 Your input will only block the ”communication line” that they have opened up with the spirits. Psychics need to be like a ”blank paper”, and the information that they give you should come from the spiritual guides, and not be ”cluttered” by you. So, if you want real psychic readings – and not wishful answers – don’t give away any information and stay as neutral as possible when you ask a psychic your questions. Is he the right for me? Should I take the job offer? Can you describe my future boyfriend? Can you tell me more about my vacation plan to Florida? Can you give me an example on what kind of work that I am best suited for? Could you be more specific about the man that I am going to meet next? Good questions to ask a psychic is something you need to prepare before your reading. 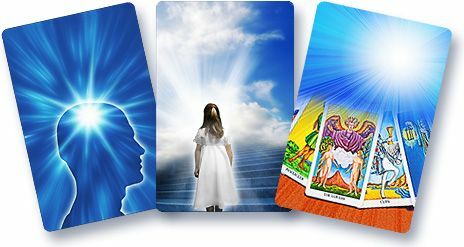 Ask the most important questions first, no mater if you get a psychic reading online or in person The best questions to ask a psychic in the beginning of a psychic reading session, are general and open-ended in nature. They can not be answered with a ”yes” or ”no”, and are not revealing in nature. However, if you only have limited time, the best questions to ask a psychic are more leading and close-ended in nature. Also, make sure to always stay as neutral as possible, as you pose your questions to a psychic.